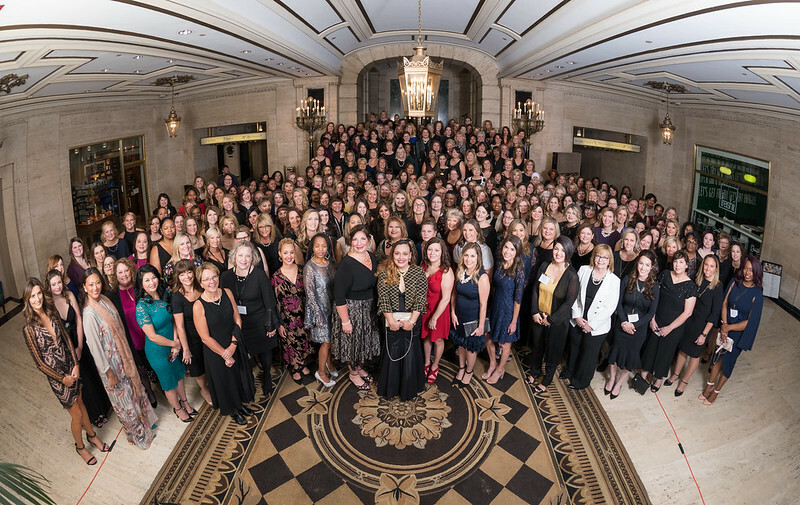 Nearly 600 people converged on Chicago's Palmer House Hilton hotel Nov. 8 to celebrate the Top Women in Grocery, Progressive Grocer's awards program honoring the top women shaping the grocery industry. Holding its 12th gala this year, the program recognized honored more than 350 women from grocers, suppliers and service providers across the nation. Following an early-morning yoga session provided by Clif and a breakfast sponsored by Post Consumer Brands, the 2018 Top Women in Grocery awards kicked off with a Leadership Development Program, beginning with a keynote presentation from Julie Jones, managing director grocery channel and home hardware at Procter & Gamble. Titling the presentation "5 Myths Holding Women Back," she discussed how most of the myths are based on the erroneous idea that the workplace is fine – it's the women in it who need fixing. 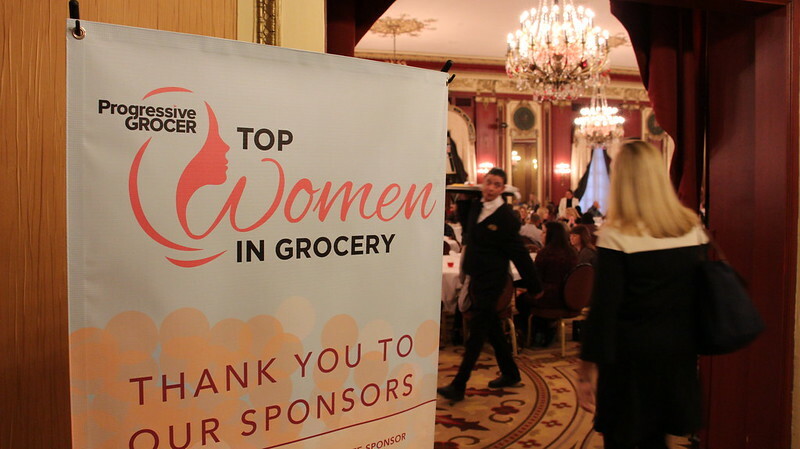 Among the other presentations at the 2018 Top Women in Grocery awards were the Network of Executive Women's presentation of its "Kicking Glass" research; a panel discussion featuring representatives from Albertsons Cos., Barons Market, Coca-Cola and Davidson's Specialty Foods; and an empowering message from motivational speaker Lee Ann Piano. Following the program were lunch, an afternoon yoga session provided by Clif, and the Daymon Interactions Delight Lounge, where hair stylists and nail technicians provided their services. After getting inspired and enjoying some time to network, attendees prepared for the evening's gala and awards presentation. The nearly 370 people being honored among the Top Women in Grocery gathered for a group photo before joining and socializing with loved ones and colleagues who support them every day over cocktails provided by Ecos and Buzzballz. Then came the awards. During the evening gala, Kathy Russello, EVP of people systems and services at Retail Businesses Services – the service company of Ahold Delhaize USA – received the 2018 Trailblazer award, which annually honors a single executive whose leadership, vision and influence have helped break new ground for women in the retail food industry. Additionally, two women joined the Top Women in Grocery Hall of Fame – an extension of the Top Women in Grocery program that launched last year: Jill Griffin, president of Advantage Marketing Partners for Advantage Solutions, and Cathy Lord, VP corporate human resources, Albertsons. Following recognition of these three, the nearly 370 members of the Top Women in Grocery class of 2018 graced the stage to accept their awards. And to cap off the gala and day's events altogether, all attendees were invited to the Hershey Dessert Party, which served up delicious chocolate desserts, drinks and dancing. The celebration brought to an end the most-attended Top Women in Grocery Awards ever – and one the industry will never forget.